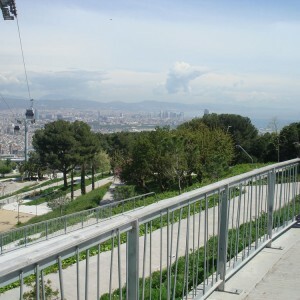 Montjuïc is the result of several, generally partial, urban development operations carried out mainly throughout the 20th century, all enclosed within themselves. 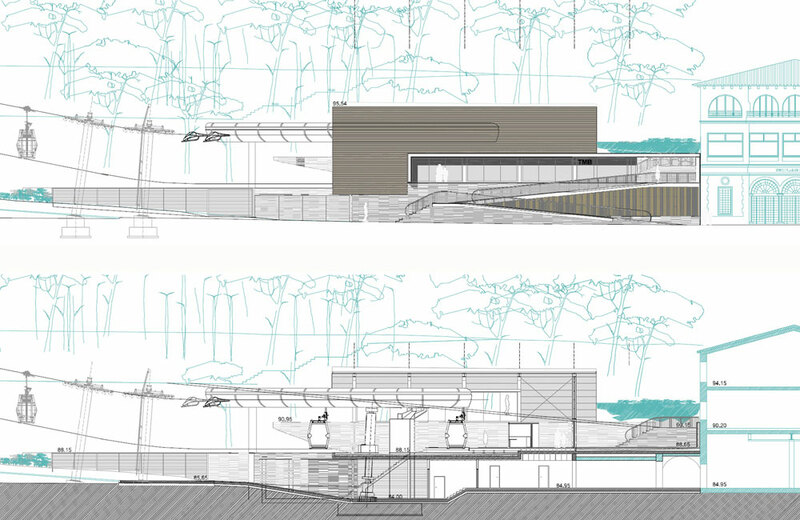 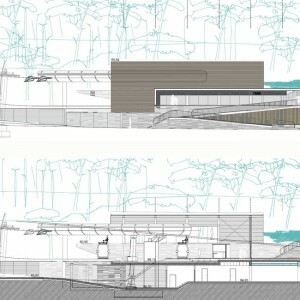 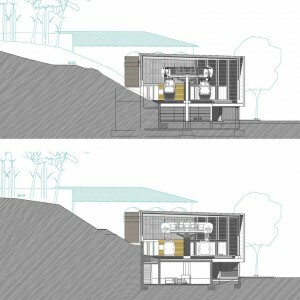 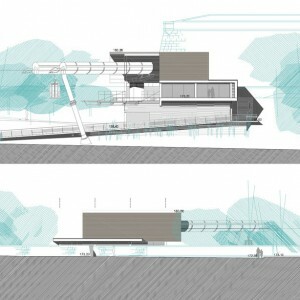 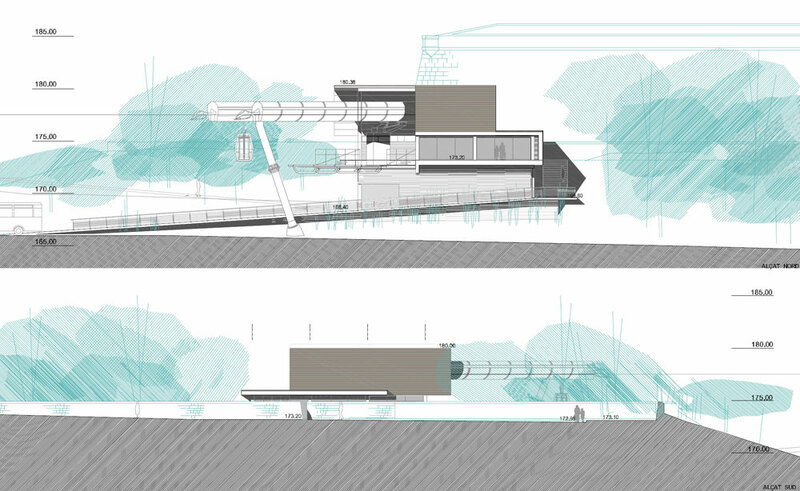 For this reason, an overall concept was needed to give the area a cohesive structure. 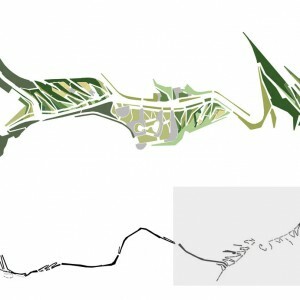 The heights were a particularly marginal area, the last part of the mountain to be preserved from development due to its relative inaccessibility. 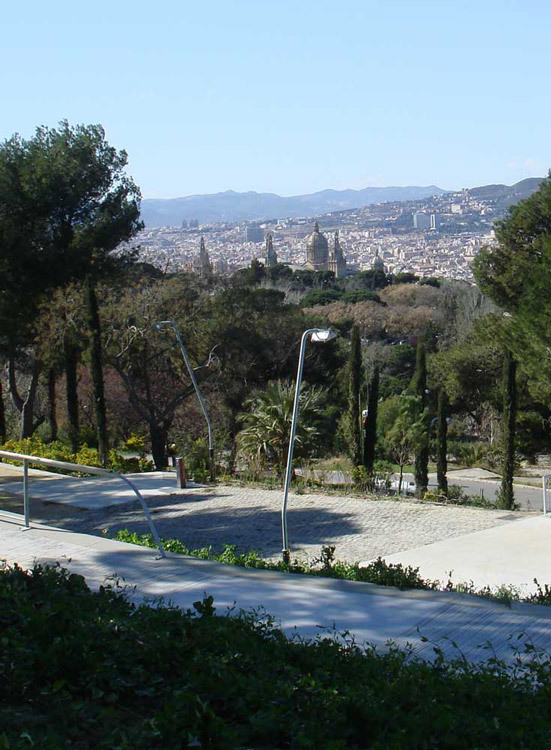 The Montjuïc Heights was a space with a castle in the centre, seen with indifference if not hostility, for its role in several periods of citizenry repression, steep, inaccessible, with few attractions during the day and dangerous after dark. 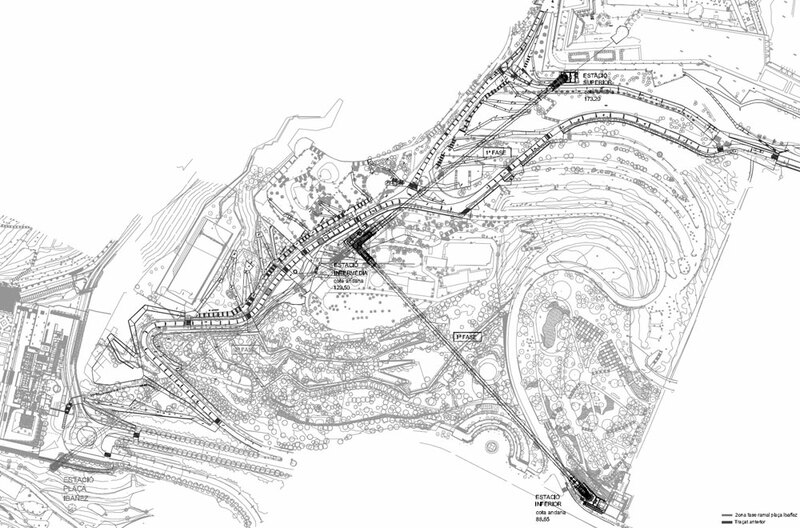 The automobile was practically the only way to get there, and the mass use of private vehicles contradicted the very sense of an area devoted to walks and other leisure activities. 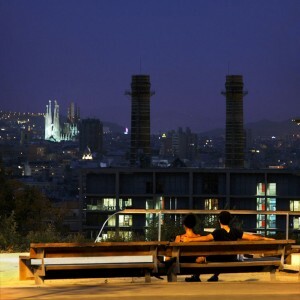 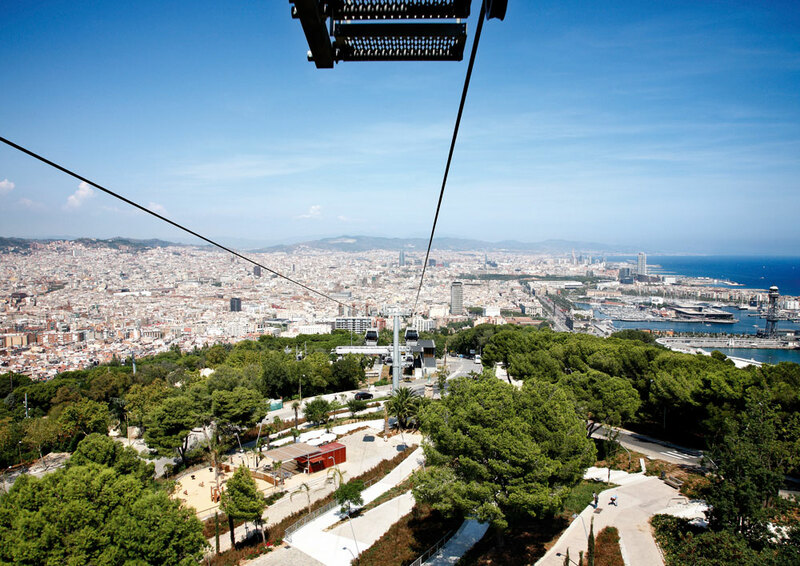 • Providing an entrance to Montjuïc from the highest point on the mountain, via a collective transport system up to the castle, well connected with the subway system, to help pacify traffic and make the visit to the park an easy walk downhill. 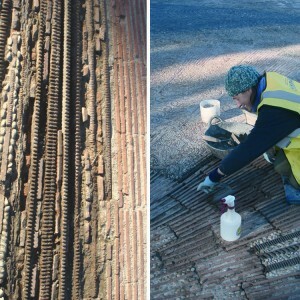 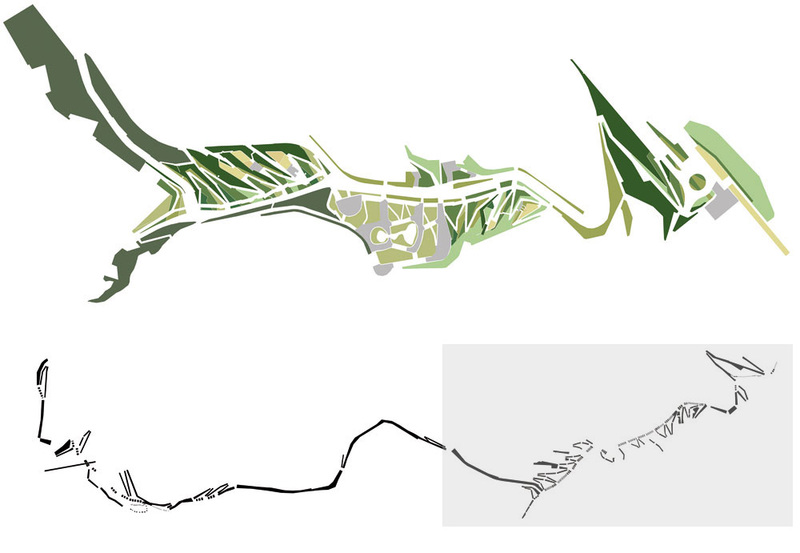 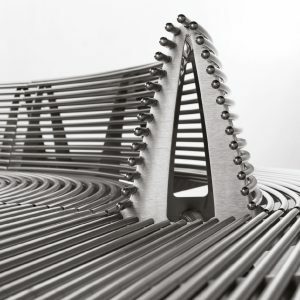 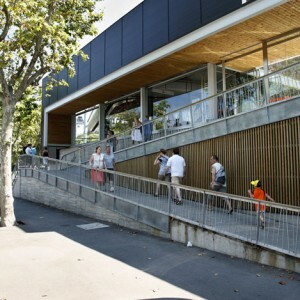 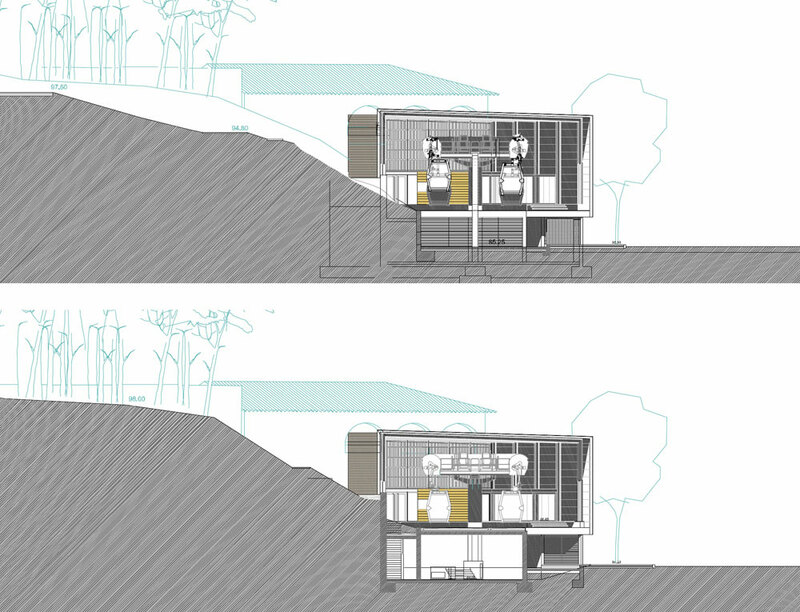 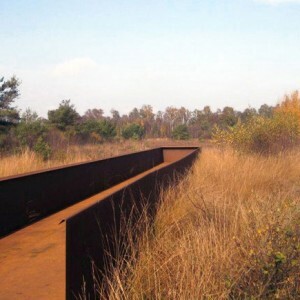 • Building a longitudinal axis based on the existing road, Heights Walk, to connect this ‘Green Acropolis’ from one end to the other. 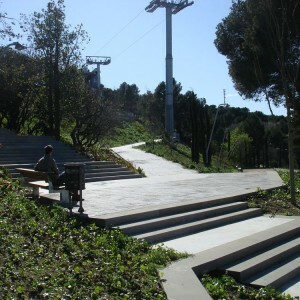 A leveled path with gentle slopes to join the Forestier Gate (Miramar) to the Delta Gate (Sot del Migdia), with cablecar stations at either end to enable visitors choosing to enter the mountain from these accesses to reach the top of it easily. 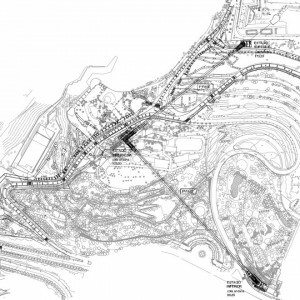 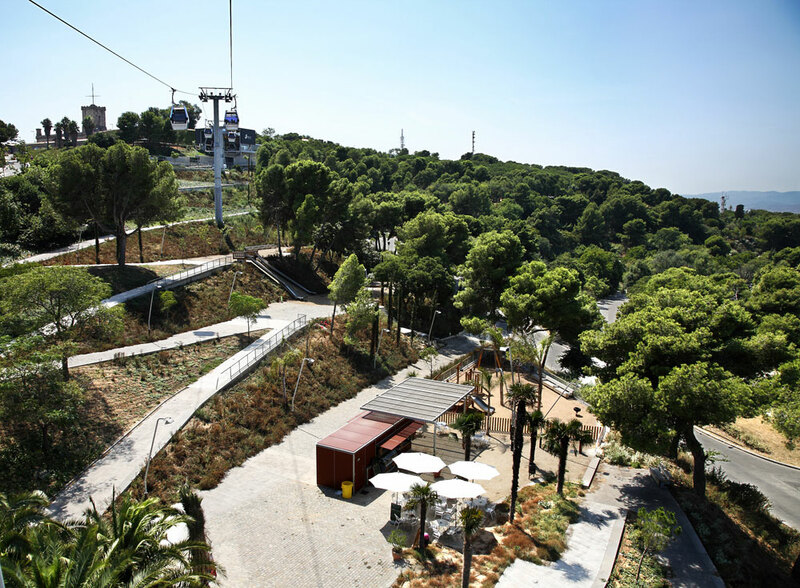 Like a connecting thread, Heights Walk would join all the different facilities in the park, completing the integration of Montjuïc with the city by connecting the mountain’s heart to the public transport systems that surround its perimeter. 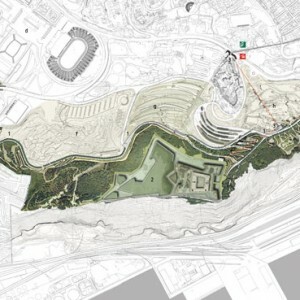 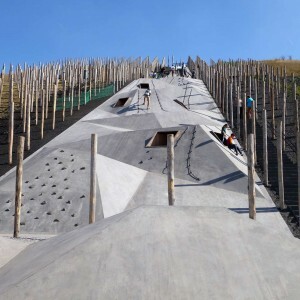 • Reclaiming the castle and its adjoining spaces for decidedly civic uses, making this castle a powerful centre of activity and completing the sense of the new, central gateway to the mountain. 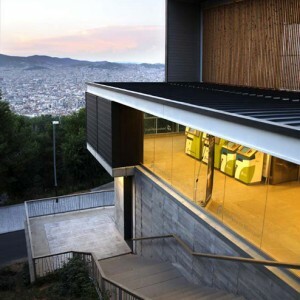 • Turning the entire heights in a Green Acropolis. 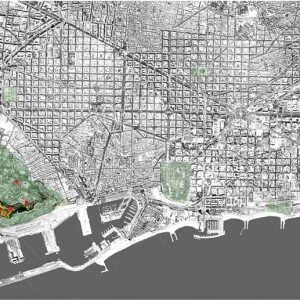 A pacified green area, taking the existing vegetation as the starting point. 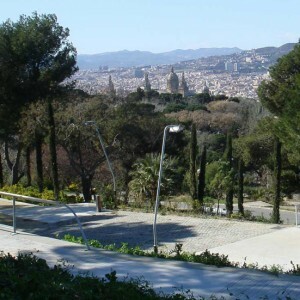 • Restoring the elements of archaeological and historic interest on the mountain (castle, silos from the old port, Roman quarries, Iberian settlement, sacred art in the lower part of the cemetery…) and making them accessible and possible to visit. 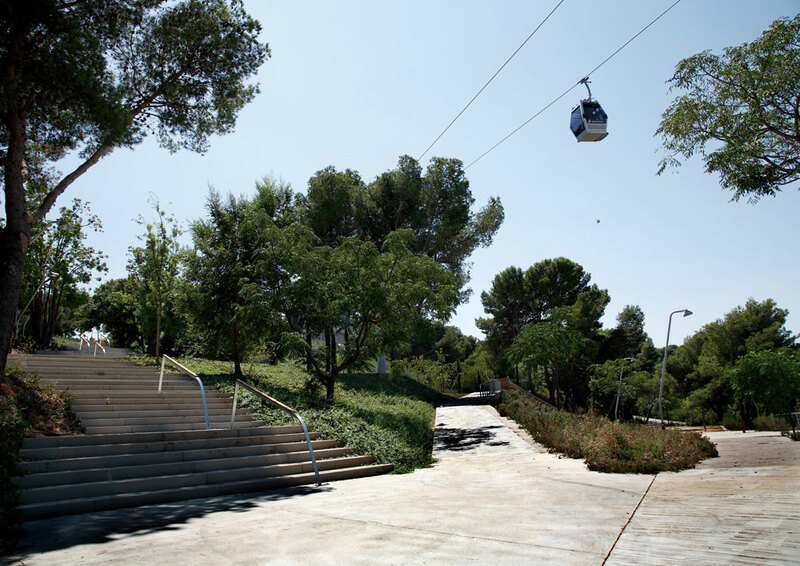 Of all of the interventions that were planned, by March 2011 a considerable part of the Heights Walk has been built and the old cable car has been replaced. 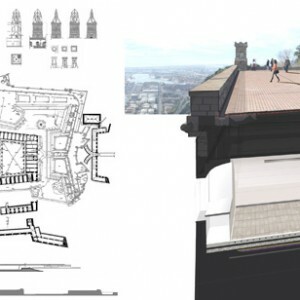 Moreover, now that ownership of the castle has reversed to the city, some of the phases of its functional reconversion and physical refurbishment have been completed. 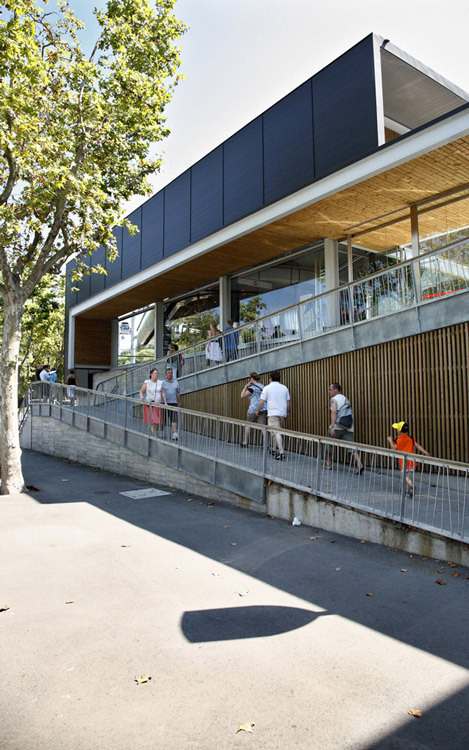 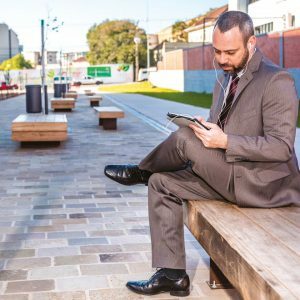 Heights Walk is a 2.4-kilometre path generated by and through the redevelopment of the existing roads and interstitial voids. 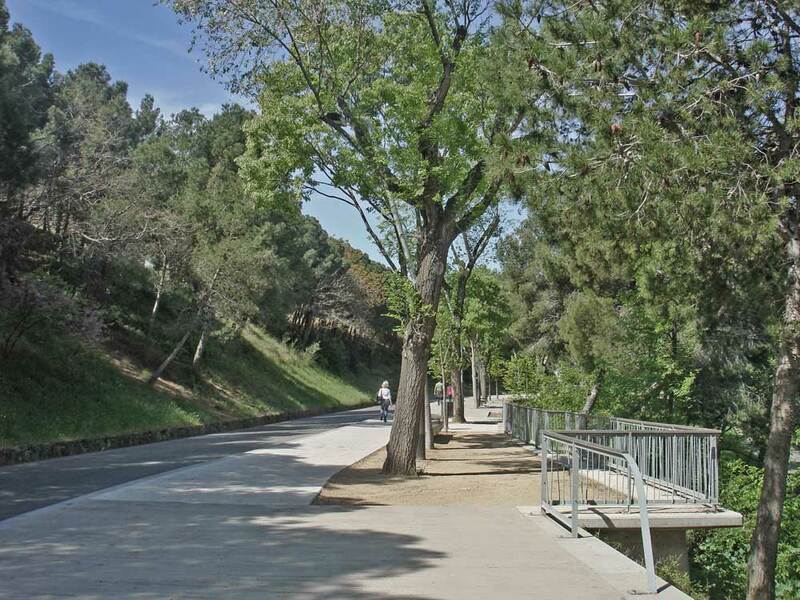 Preference is now given to pedestrians and walkers along this route, which is also adapted for people with physical impairments, as it easily negotiates the steep slopes in this area. 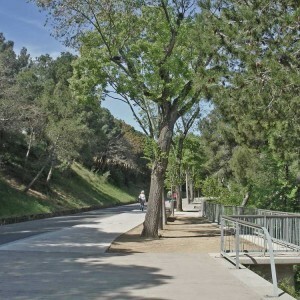 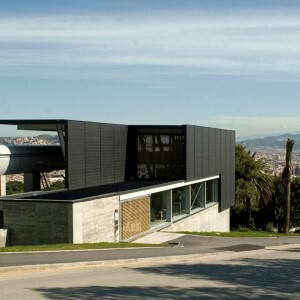 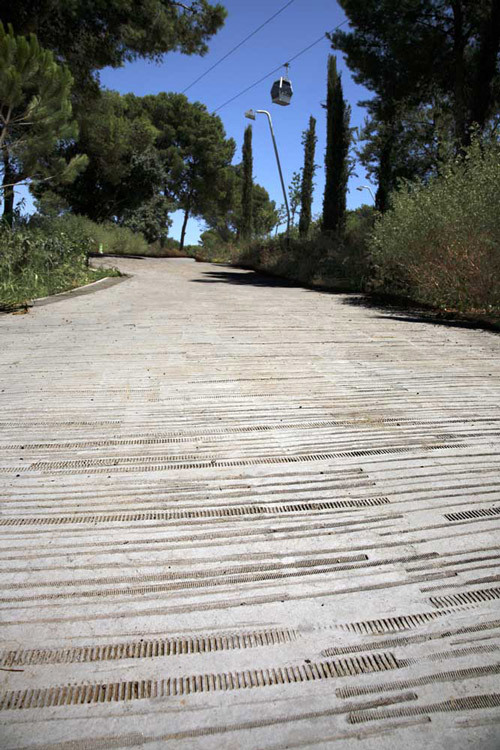 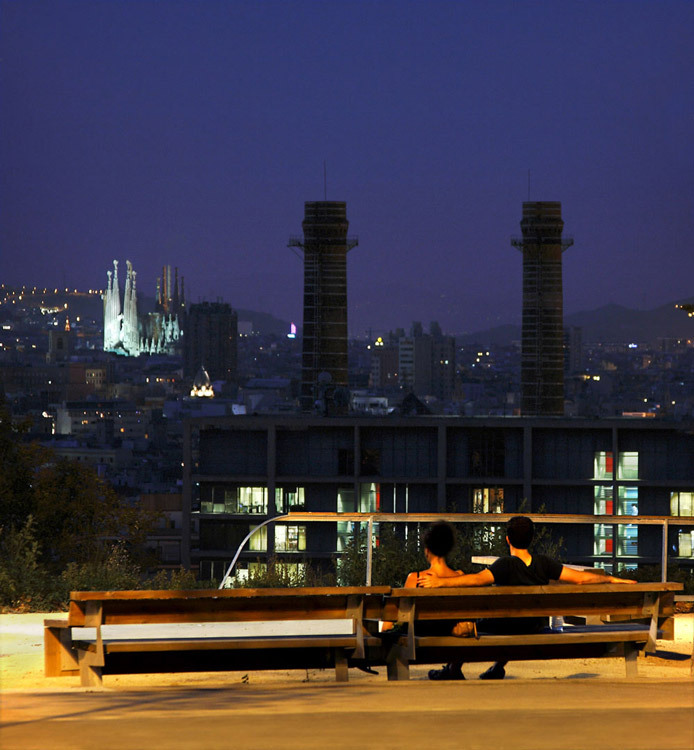 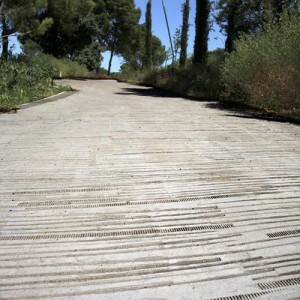 The built area (1 km, approximately) stretches through the castle avenue and the heights of the Montjuïc road. 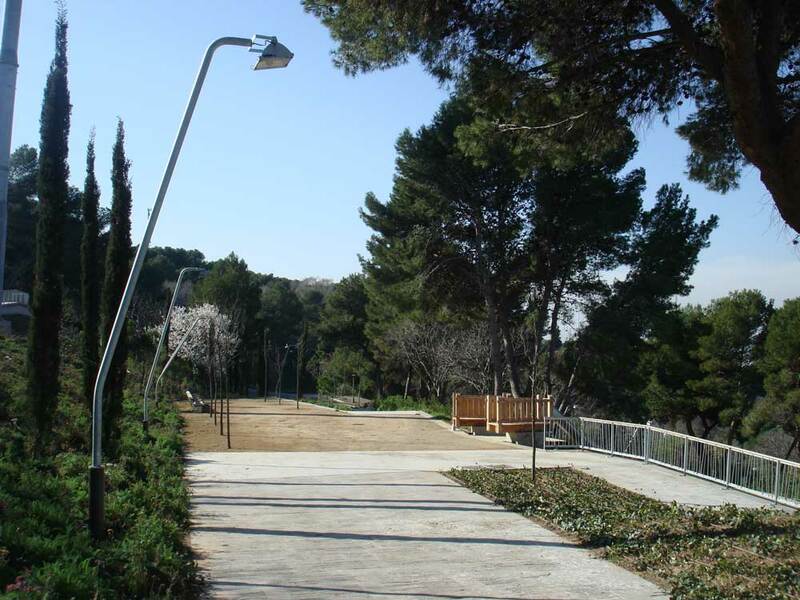 It includes adjoining spaces that have become obsolescent, such as the upper part of the car park that once belonged to the old funfair, and areas needing rehabilitation, such as the site known as the Mirador de l’Alcalde. 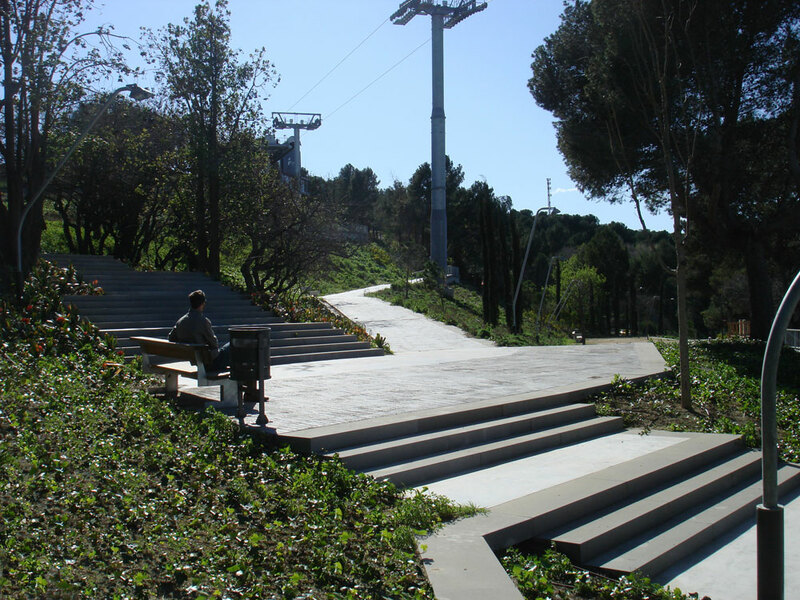 Based on existing vegetation, the use and nature of the existing platforms on the old car park have been transformed, linked by steps and ramps to form a new route through the park’s vegetation, which has been restored and increased, linking up with the castle avenue, where the sidewalks section has been widened from just over one metre to a minimum of five. 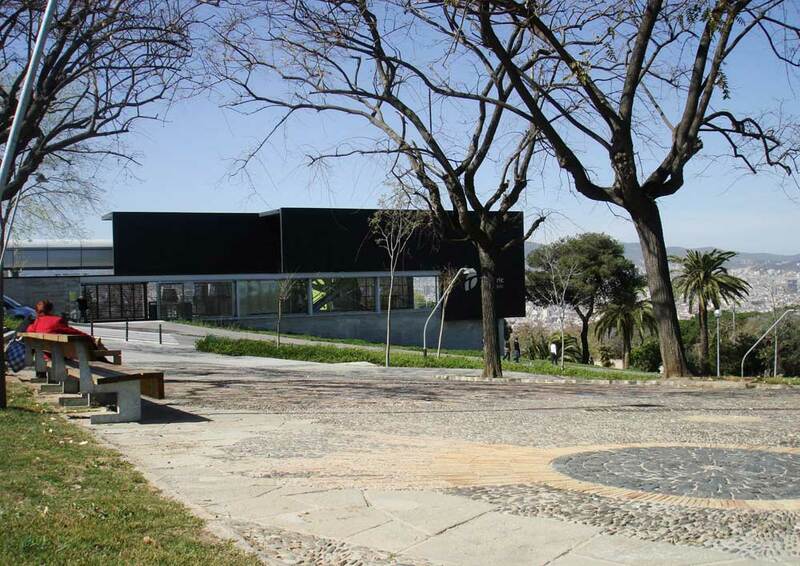 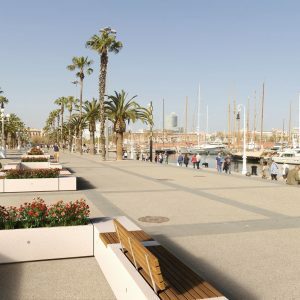 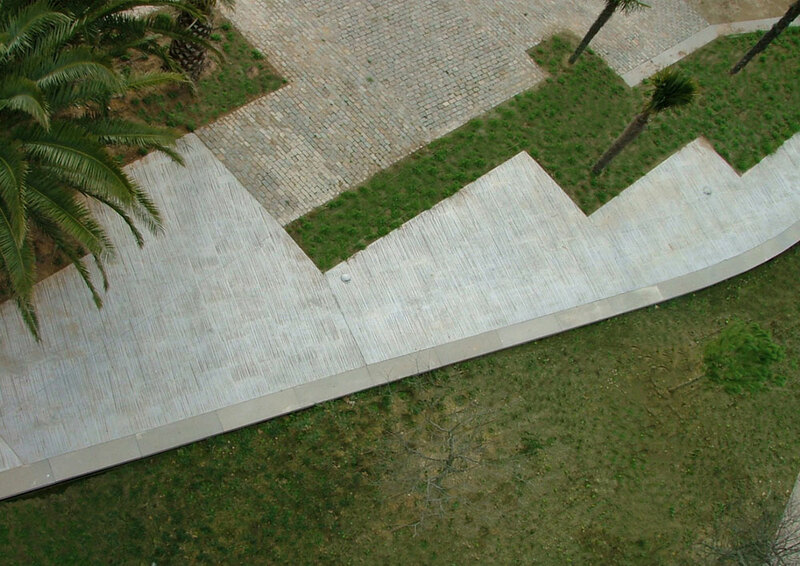 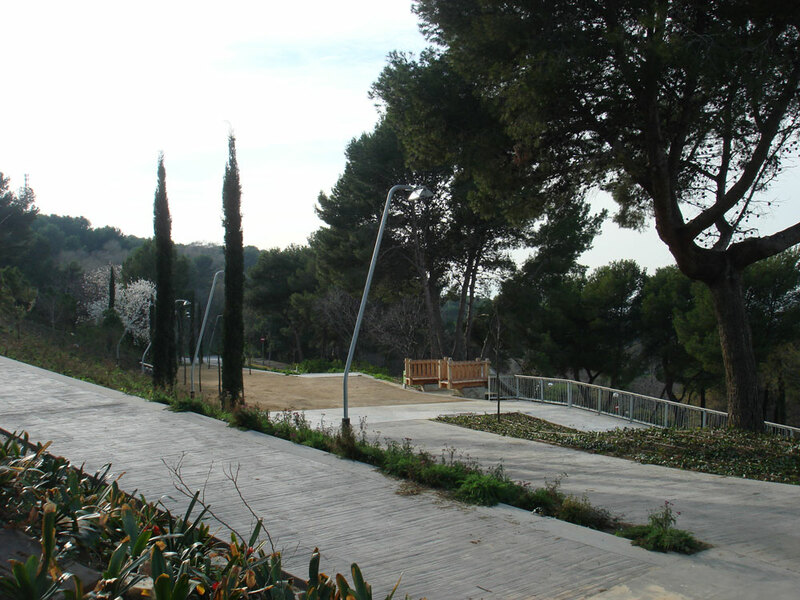 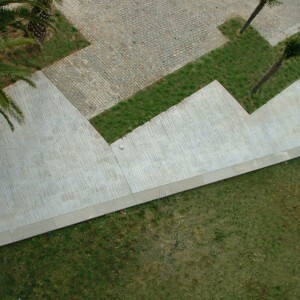 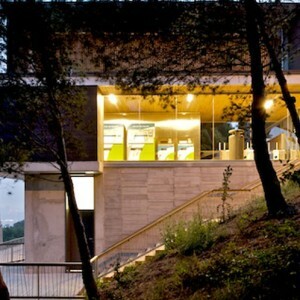 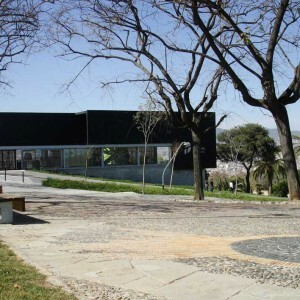 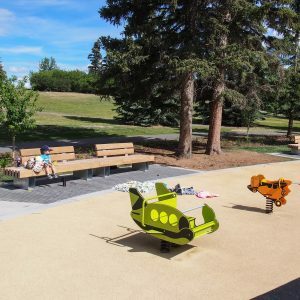 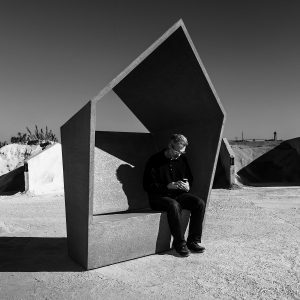 Both the paving and the lighting, benches and railings were especially designed for the occasion (as an example, scrap metal pieces from the floor of the Mirador de l’Alcalde were used as molds pressed onto the concrete surfaces). 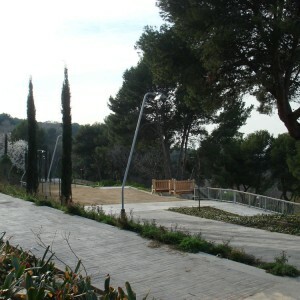 A new drip irrigation system was installed, using underground water from the city, which is pumped to a large tank built under the castle’s covered walkway. 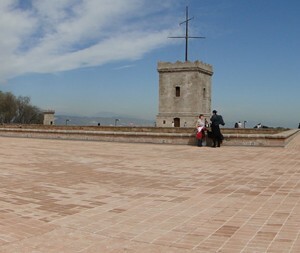 Work has also been completed on the painstaking restoration of the floor in the Mirador de l’Alcalde viewing platforms (opened 19 March 1966), which had been partially damaged by the passing of time. 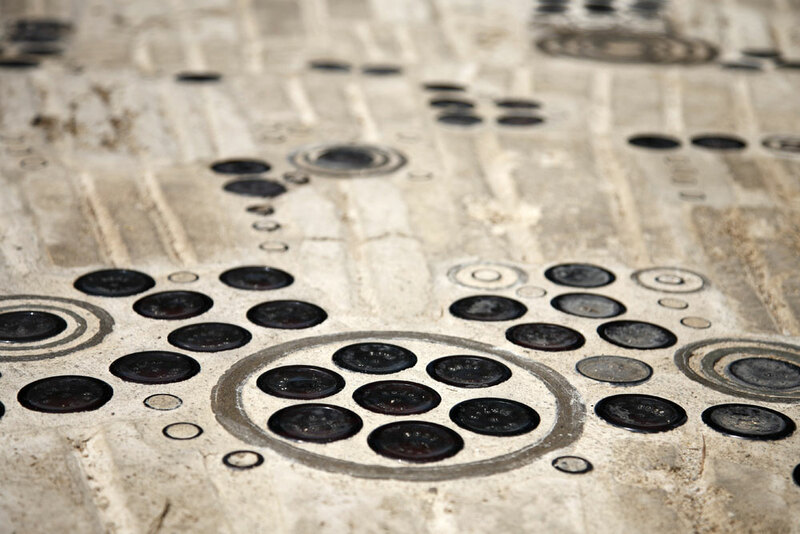 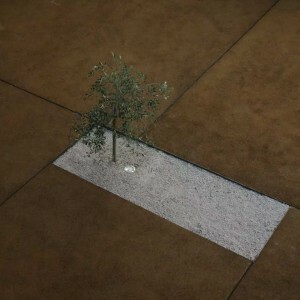 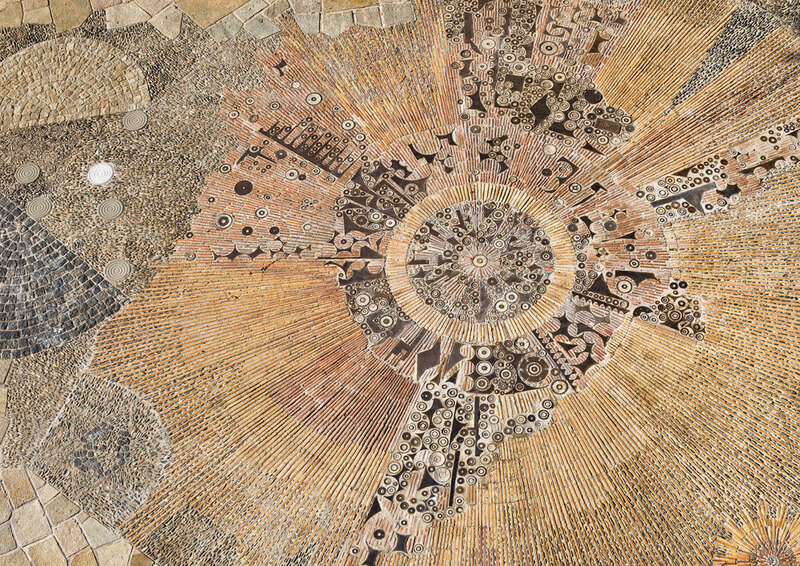 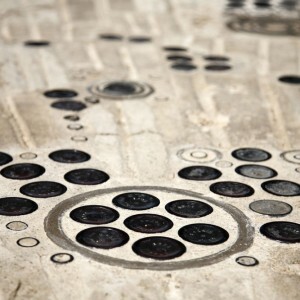 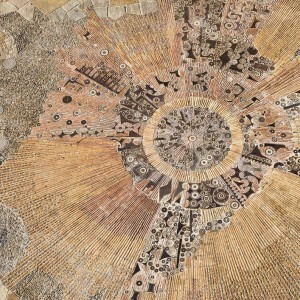 Created by Joan Josep Tharrats, this floor features an interesting collage of scrap metal, glass bottle bottoms and ceramic fragments (3,000 m2). 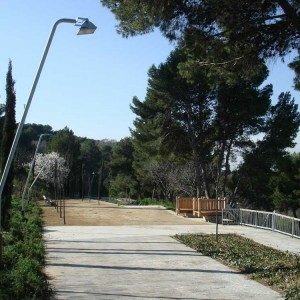 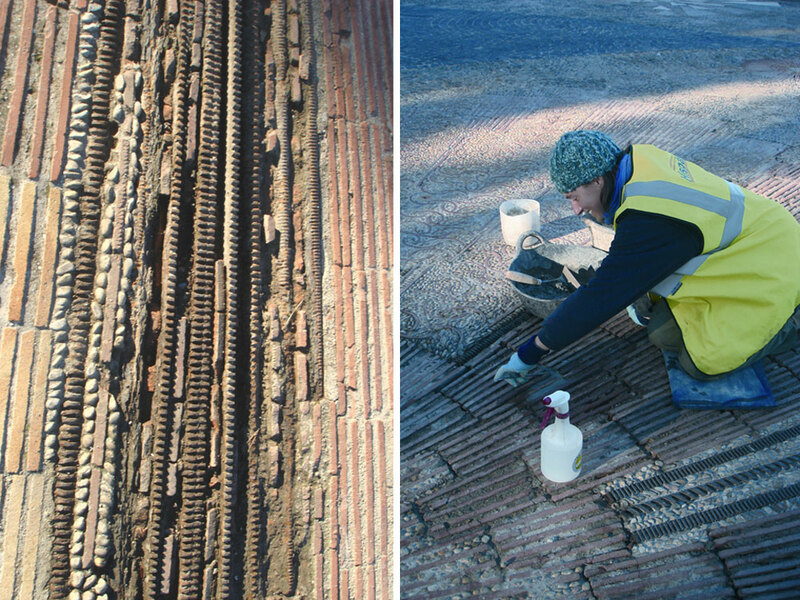 The irrigation and lighting systems have been refurbished and the platforms in this area have been integrated into the Heights Walk, with its ground instability corrected by the use of 20-metre micropiles. 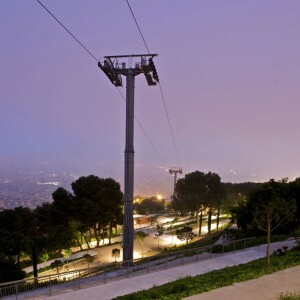 The old Montjuïc cable car was a popular attraction when it first opened in 1969, but had since become unsafe and obsolete. 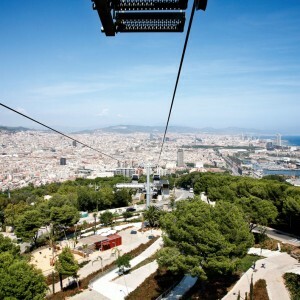 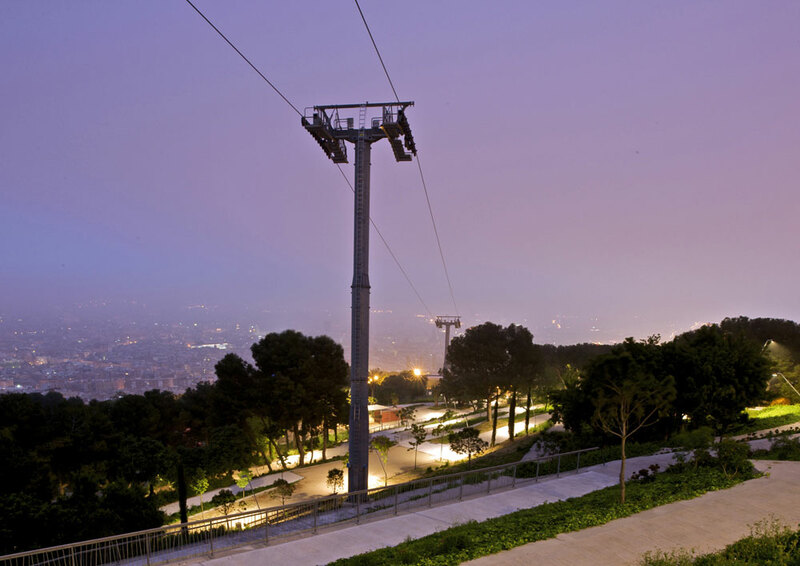 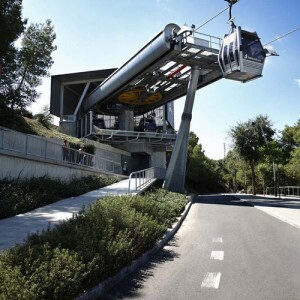 It has been replaced by a modern cable car system integrated into the public transportation system to Montjuïc Heights. 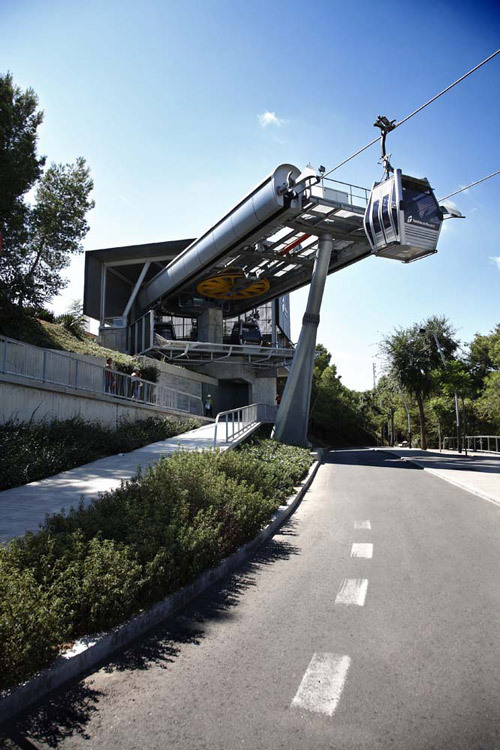 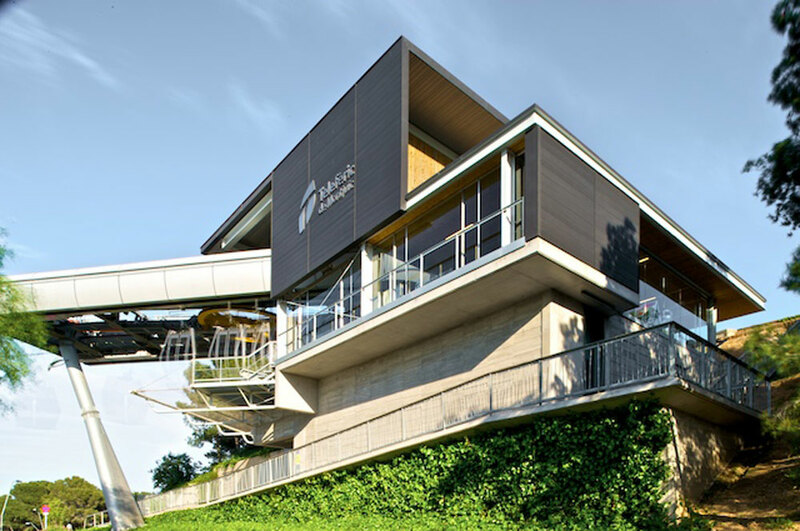 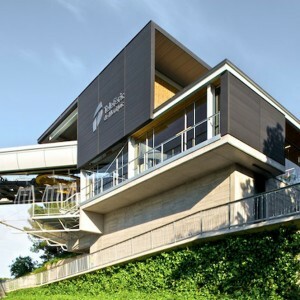 The new cable car has higher capacity (2,500 users per hour) and is adapted for physically impaired persons use and also to carry bicycles. 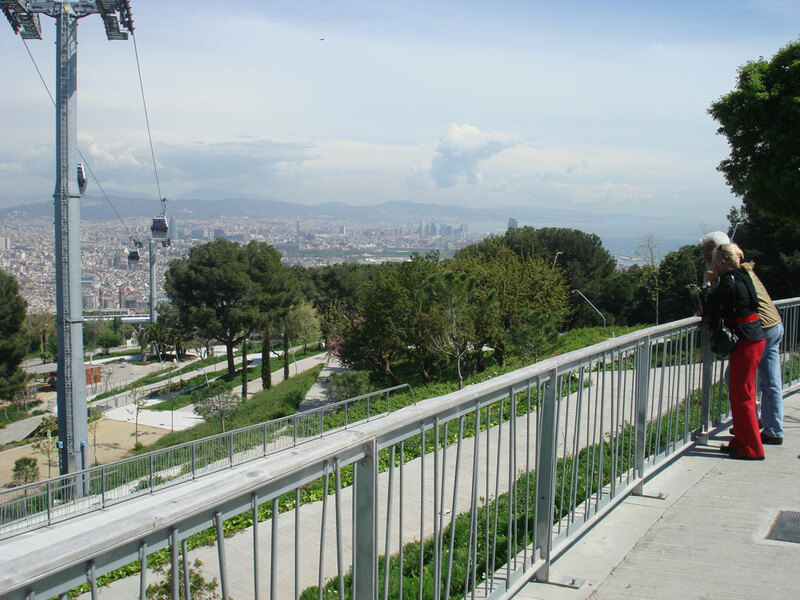 The plan deals with the conversion of the castle into a main centrality point of Montjuïc Mountain by way of highlighting its role as an historical monument and reference in the city. 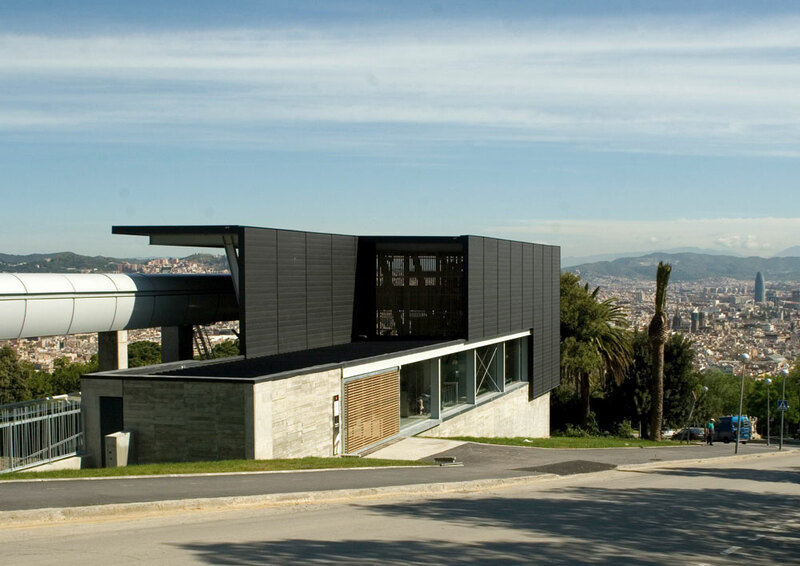 It does so, by reordering the existing elements in line with the new museistic script wich proposes their integration in a way that contextualizes the castle in the overall setting of Montjuïc Mountain. 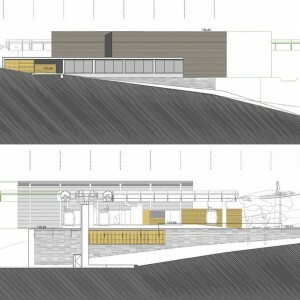 The city is now pushing forward a plan for the creation of a new facility wich will house a research center specialized in international conflict resolution. 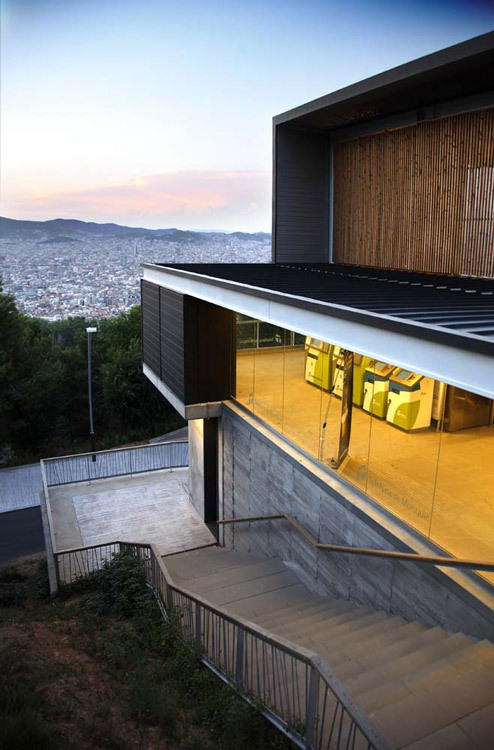 It will be the ‘Barcelona International Center for Peace’, wich is set to be an european reference in the fields of research and promotion of a ‘Peace culture’. 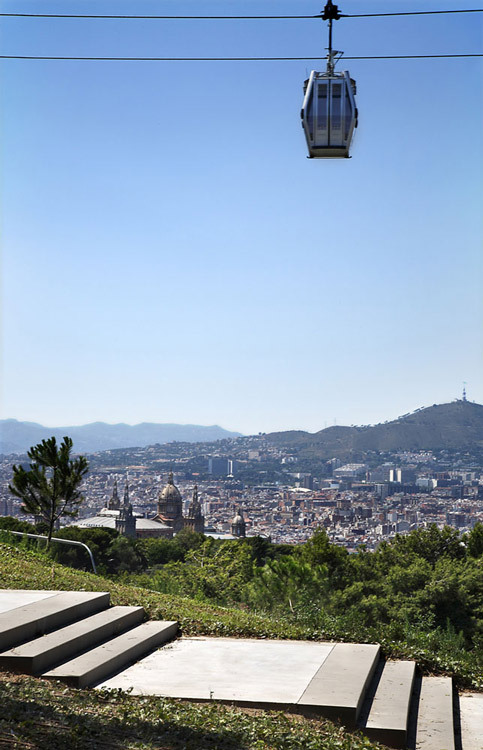 Its placement in Montjuïc Castle is also a symbol for reconciliation and is intended to represent a turning point regarding its use throughout its history. 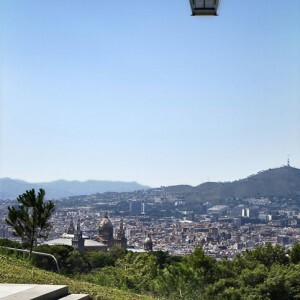 Thus far, several of the exhisting vaulted rooms have been rehabilitated, as well as the rehabilitation and updating to current security standards of the castles roof, which serves as a privileged view-point over the city. 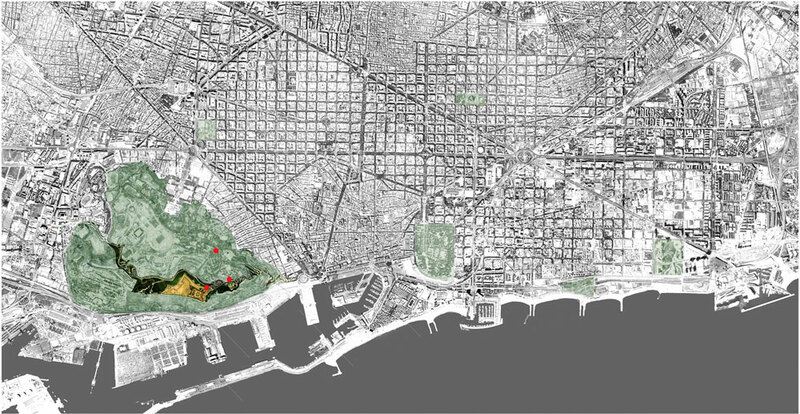 The work done so far is a step forward, just a start but considerable nonetheless, in an intervention that will be completed gradually. 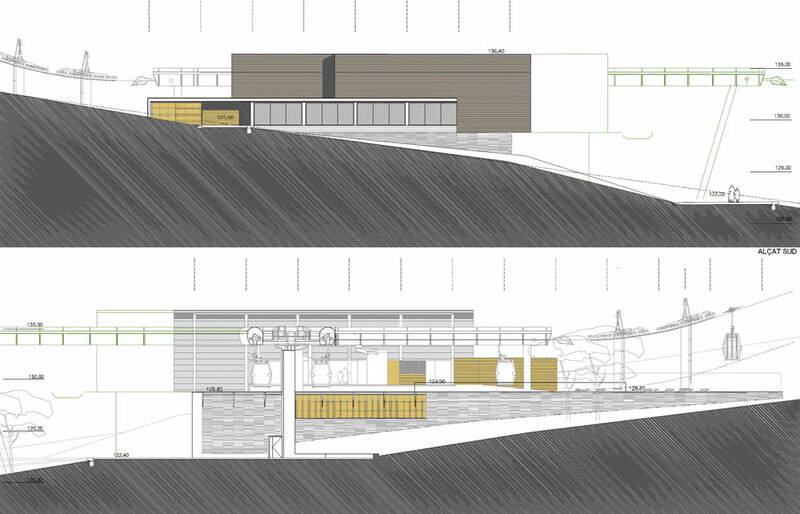 It is also possible to appreciate already how much of the proposal’s implemented steps contribute to structuring the area, transforming the site whilst integrating existing facilities. 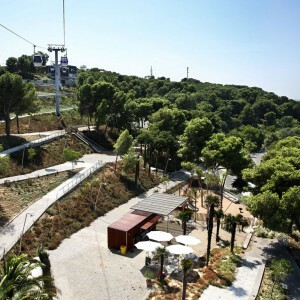 We are starting to find a way down from the steep slopes of Montjuïc Heights.